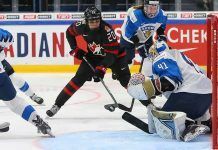 Canada’s National Women’s Team scored a pair of power-play goals, but dropped a 3-2 decision in the 147th edition of its long-standing rivalry with the United States Saturday at the 2019 IIHF Women’s World Championship. “I think if you go back to the first period, we did not manage the puck very well and that was the thing we were really good at in the Rivalry Series. 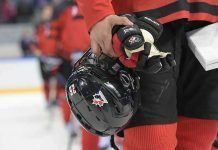 I think the U.S. had four two-on-ones in the first period and if you’re going to do that against this team you’re going to pay the price. – Nurse on what it takes to win battles against the U.S.